Nationally known for his electrifying and powerful vocal performances, ALVIN BELL is an immensely talented American singer and actor with a range from rhythm & blues, gospel to opera. A versatile entertainer with awe-inspiring stage presence, Bell is most recognized as a ballard singer and is in constant demand to sing at weddings, perform "live" at major concert halls, arenas, and hotels around the country. Born in Fort Lauderdale, Florida, Alvin is a graduate of Nova High School and Dillard High School of the Performing Arts in Fort Lauderdale. His theatre credits include the off-broadway production of the late Vinette Carroll's "Don't Bother Me, I Can't Cope," "Purlie" and "Pirates Of Penzance." His mother also a lauded educator, supported his quest for stardom but stressed the importance of a college education. Upon graduation from high school, the good-looking young man from South Florida later attended Howard University in Washington, DC where he studied broadcast journalism, classical voice with world renowned opera diva Mattiwilda Dobbs, classical piano with Thomas Flagg and commercial voice and entertainment business with Grammy-award winner pop/gospel songstress Deniece Williams. Bell was also a member of the award-winning Howard Gospel Choir! Alvin toured Hong Kong appearing in the smash hit musical Dreamgirls produced by the American Theater of Hong Kong with Oscar nominee Taraji P. Henson (Hustle and Flow) and broadway star Carla Hargrove (Hairspray). Mr. Bell also worked as a radio talk show host on WHUR's "In Touch" radio magazine and was a recipient of the prestigious Robert F. Kennedy Award for Journalism. Alvin has since appeared several times as a soloist at the world famous Apollo Theater in New York; the NAACP National Convention held at the Copley Plaza Hotel in Boston and worked professionally as a pop/country singer & dancer at Kings Dominion theme park in Richmond, Virginia. Bell has made cameo appearances in Michael Matthew's hit gospel musical Moma I'm Sorry starring R&B singer Melba Moore and gospel duo Dawkins & Dawkins as well as Superstar Patti LaBelle's sold out concert both held at the Tupperware auditorium in Orlando, Florida. Most recently, Alvin co-starred in the hit national gospel musical "A Family Divided." Additionally, he has appeared in Walter Rutledge's hit gospel Christmas musical Soulful Noel which starred Tremaine Hawkins, Ricky Dillard and Dr. Bobby Jones held at the Amway Arena in Orlando. He was a featured vocalist in a TV commercial for the Orlando Utilities Commission; a featured singer at the House of Blues at Disney and BET Soundstage in Orlando; hired by Disney to sing voice overs for Disney's Christmas special which aired on Channel 9-WFTV/Orlando; and guest appeared in concert at the Black Expo & the Zora Neale Hurston Festival of the Arts. Alvin's vocal talent impressed former NBA star David Vaughn. Vaughn was instrumental in getting Bell an appearance on the Sunshine Network (SUN) singing the "National Anthem" at the Orlando Magic Vs Washington Wizards game held at the Amway Arena. His awesome performance prompted a call back for a repeat performance to sing the anthem once again at an Orlando Solar Bear Hockey game (NHL). Since then, he has given a spectacular performance of his rendition of the "National Anthem" at Disney's Wide World of Sports Stadium , UCF arena and annually at Webster University's Commencement Excercises held at the Orange County Convention Center. Alvin starred in the hit musical ELOHIM an adaptation of the hit broadway musical The Wiz as ‘The Tin Man’ at the historic Plaza Theatre in Orlando, Florida. 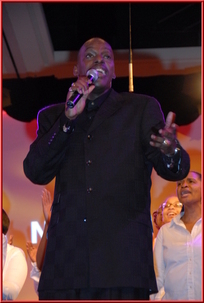 In 2008, Mr. Bell guest perfromed “live” at the National Urban League Conference in Orlando, Fl. 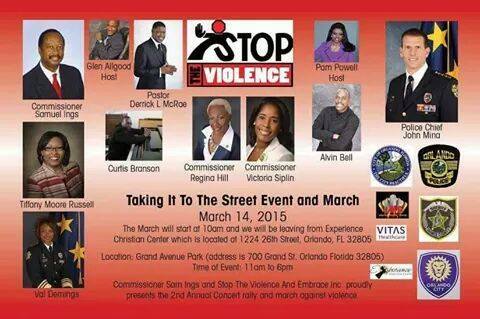 Celebrities Patti Labelle, Tyrese, Mark Morial, former Florida Gov. Charlie Christ and then Presidential candidate Barack Obama among others were in attendance. Bell recently paid a musical tribute to Susan L. Taylor, Founder, National CARES Mentoring Movement, Editor-in-Chief Emeritus, Essence Magazine and received a standing ovation at the Caribbean Passport Magazine Awards show held at the Majestic Event Center in Orlando, Fl. Alvin's television credits include Amateur Night at the Apollo staring Queen Latifah and Jeffery Osborne (Pay-per-View) Praise The Lord -(TBN); iVillage "Live" (NBC) True Talent R&B showcase telecast on cable channel 24/Tampa, FL; Good Day Orlando-(FOX-35); Orlando Magic Vs Washington Wizards NBA game (SUN); Chambers of Gospel (TWC 98)/Orlando and Bobby Jones Gospel Hour (BET) among others. Alvin was a three time winner and finalist in Ed McMahon’s Next Big Star (formally known as Star Search)international talent competition in the R&B category. Bell, also a talented songwriter co-wrote the single "I Wanna Thank You" along with noted producers Pedro Cos and Armando Colon which debut on 94.5 FM "Classic Soul and R&B" radio station/Orlando; He also penned another single "Love Changes" which won the "Jam it or Slam it" contest on 102 Jamz/Orlando (101.9FM). He has been interviewed on both of these stations as well as many others. Alvin currently appears in the Pam Powell Show commercial seen throughout Central Florida! Mr. Bell has been featured in many print media and internet web site publications. In addition to being a world-class entertainer, Alvin is also a distinguished scholar having earned his Bachelor of Arts Degree in Communications with a minor in Business Administration from Howard University located in Washington, D.C. and listed in the 58th edition of Who's Who Among Students in American Universities and Colleges. Bell also earned the Master of Arts degree in both Human Resource Management and Human Resource Development (Dual major) from the Webster University Walker School of Business and Technology located in St. Louis, MO. and is a member of St. Mark AME Church-Orlando, the National Black MBA Association (NBMBAA), Central Florida Urban League Prince Hall Affiliated Freemason-Lodge 390/Ft. Lauderdale and the Orlando Alumni Chapter of Kappa Alpha Psi, Fraternity, Inc.
Alvin Bell to Guest Appear LIVE!! Sponsored By WOKB AM Radio!